When SpaceX’s CRS-17 Dragon spacecraft launches toward the International Space Station at the end of April, it is expected to be carrying with it a new carbon-observing instrument. Called Orbiting Carbon Observatory-3, or OCO-3, the instrument is a follow-on to the still-active OCO-2 mission, according to NASA. Once at the ISS, it will be attached to the exposed platform on the Japanese Kibo module. Like its predecessor, OCO-3 is designed to observe the carbon cycle on Earth, which naturally varies at different areas on the planet and at different times of the day. As humans continue to add carbon dioxide into the atmosphere, researchers want to understand, as well as monitor, how the extra gas traps heat via the greenhouse effect, NASA said. The reason for launching an instrument to the International Space Station is its unique orbit. According to NASA, OCO-2’s polar ground track takes it over the same part of the planet at the same time of day, the ISS and its 51.6-degree inclined orbit would take OCO-3 over the same location at different times of the day. By using the space station’s orbital track, the OCO-3 instrument is expected to be able to monitor emissions from dawn to dusk, NASA said, meaning for the first time, variations in the carbon cycle at different parts of the day in the tropical and mid-latitudes — the places where the ISS passes over — can be observed to allow researchers to better understand emission and absorption processes. 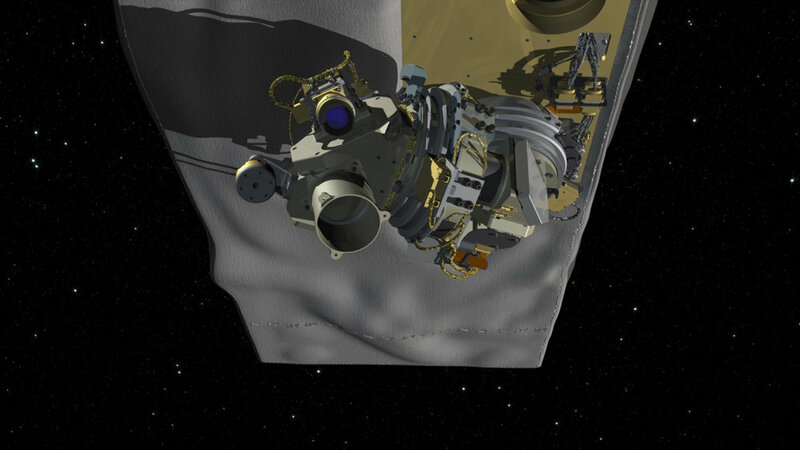 OCO-3 has three spectrometers, according to NASA. They each share one telescope and can be tuned to observe different wavelengths in the electromagnetic spectrum. Two of these spectrometers are designed to record wavelengths where carbon dioxide absorption is strong while the third is expected to record wavelengths with strong oxygen absorption. Once at the ISS, the instrument is designed to operate for about three years. It has a mass of 500 kilograms and is 1.85 by 1.0 by 0.8 meters — about the size of a refrigerator.